Reiki Is a Japanese technique for stress reduction and relaxation that also promotes healing. It is administered by ‘laying on hands’ and is based on the idea that an unseen life-force energy flows through us and is what causes us to be alive. If one’s life force energy is low, then we are more likely to get sick or feel stress. If it is high energy we are more capable of being happy and healthy.The word Reiki is made of two Japanese words – REI which means “God‘s wisdom or Higher Power”, and KI which means “life force energy”. So Reiki is actually spiritually guided life force energy. 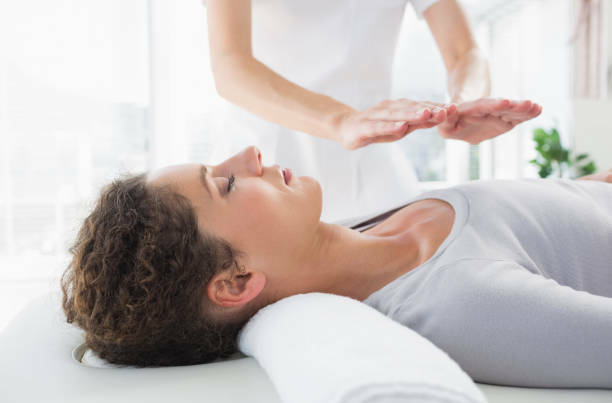 What are the components of a Reiki session? wrong ! I saw ( with my eyes closed ) fireworks, all the colors of the rainbow in kaleidoscope shapes. It was so beautiful! When I got up from my session, I felt such a surge of energy! I couldn’t believe it. That peaked my interest so much that I took lessons from Reiki Master Carol Longacre and in time I became a Reiki Master. Carol is my mentor and I receive sessions from her on a regular basis. She taught me that Reiki does not only need to be in person, but can also be done from afar. On one of my classes with her to become a Reiki Master, she had us practice distant healing on teddy bears. I went to a room away from the class and could not even hear them. I was to lay on a massage table until somebody came to get me. There I lay, wondering how on earth would this work. Suddenly I felt a heavy weight in my forehead. I turned to my side but reached to grab what was on my forehead. It felt like a small stone yet a powerful one. At the end of the session I went to join the others. I asked what was the thing with my weight on my forehead? The student quickly showed me a large amethyst she had placed on the teddy bear’s forehead. So, what can you expect from your first Reiki session? You will lay down on a massage table or sit in a chair, fully clothed. Some light touching may occur along with the use of various crystals placed on your body, if you wish. The use of crystals enhances the vibration of your energy and allows me to delve deeper into your chakras while I perform the energy cleansing/healing. You can also purchase beautiful crystals at the East West Bookshop and use them at home or just carry some of your favorites with you wherever you go. I carry several in my purse at all times. Everyone’s experience will be different. I see it as a way to completely relax and let go of any pent up energy. Many of my clients see colors, and some get so relaxed they even fall asleep for a few minutes. One of my clients was having a hard time just relaxing. I didn’t think I was getting through to him at all because there was so much blockage. While working with him I finally felt a surge of energy go through me and in through him. It was like pulling the plug from a full tub of water and seeing the water rush down the drain. When we ended the session, I asked him how he felt. He said he had an out of body experience, one like he had had when he was a little boy. He had not experienced that ever since until just that day. He was very pleased. One thing everybody has had in common, though, is saying how much they enjoyed the experience. Receiving Reiki is a bit like peeling an onion. We all have way more than one superficial layer to our beings, and the more you do it, the deeper you can go. Contact the bookshop to see when I will be there and let’s experience this together! 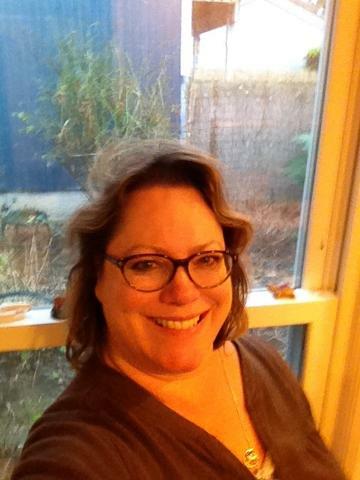 Jeanine occasionally does Reiki sessions at East West Bookshop on Saturdays and Sundays.